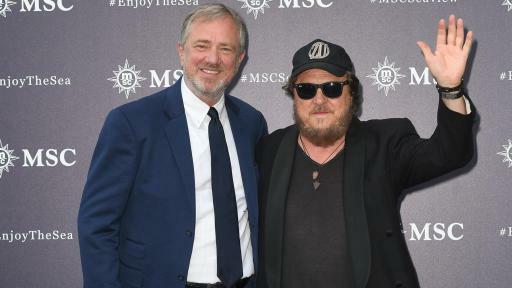 Genoa, Italy (June 11, 2018) - The newest addition to the ever-growing MSC Cruises fleet and new flagship, MSC Seaview, was christened on Saturday, June 9, in true MSC Cruises style with a star-studded line-up, VIPs, key travel partners and international media as well as top management from MSC Cruises and its parent company MSC Group. 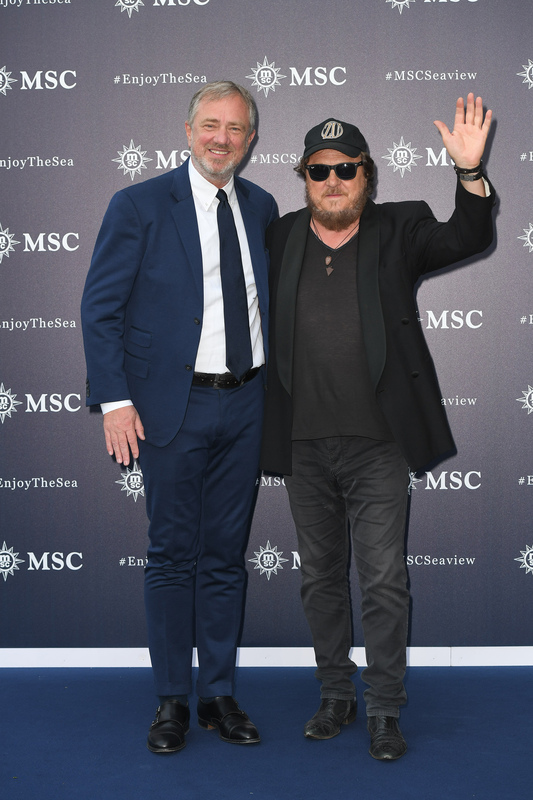 Gianluigi Aponte, MSC Group's founder and executive chairman as well as the ship owner, attended together with the Aponte and Aponte-Vago families. 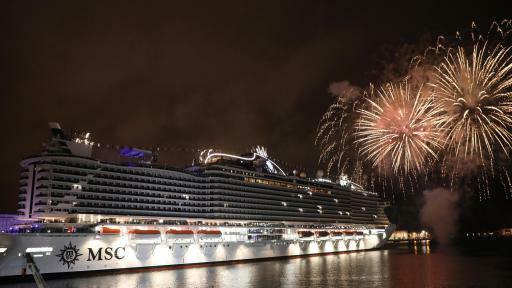 MSC Cruises, Swiss-based world's largest privately-owned cruise line and brand market leader in Europe and South America, is renowned for hosting spectacular christening events that celebrate the coming into service of the new ships and this event was no exception with a star-studded ceremony with live entertainment and speeches, fireworks and gala dinner combined with the significant maritime traditions that are so important to MSC Cruises as a family company with a long-standing seafaring heritage. The christening ceremony was hosted by star of Italian TV, Swiss-born Michelle Hunziker who welcomed to the stage 'father of Italian blues' Zucchero Fornaciari. 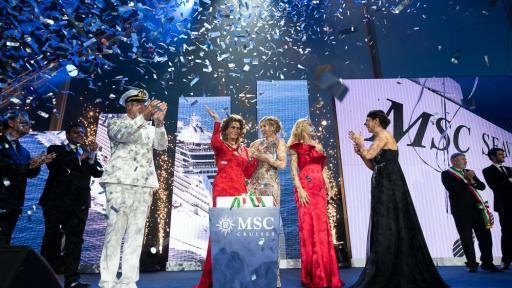 TV star Lorella Cuccarini hosted a special moment on stage, and Italian children's choir, Piccolo Coro Dell'Antoniano, performed as the UNICEF ambassadors, to acknowledge MSC Cruises' important partnership that helps improve the lives of children and their families in developing countries and those affected by crises. Also heard was the young talent of belcanto, Matteo Bocelli, son of the world-famous Andrea Bocelli who sang at the christening of MSC Seaside, MSC Seaview's sister ship in Miami last December. Matteo Bocelli sang during the Officers' Parade, an important tradition to honor and thank the ship's crew for their service. 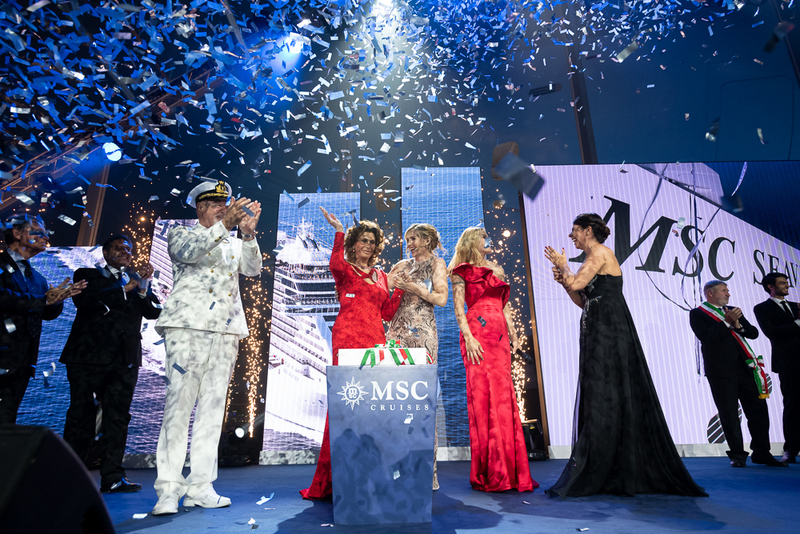 Godmother Sophia Loren finished off the traditional proceedings as she cut the ribbon to launch the bottle of champagne to name MSC Seaview, her 13th MSC Cruises ship. As the godmother of all MSC Cruises’ ships, Madame Loren is practically part of the MSC Cruises family and brings a touch of Hollywood glamour and style to each Christening. 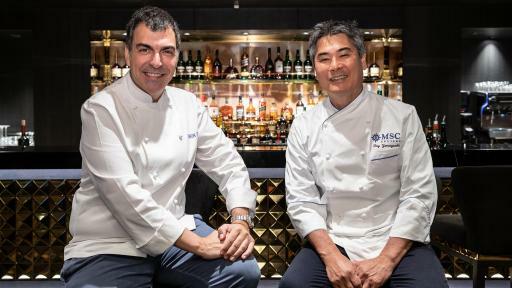 Also present at the ceremony was Ramon Freixa, the Spanish two Michelin-starred chef who has now extended his partnership with MSC Cruises to launch his first restaurant at sea on board MSC Seaview. 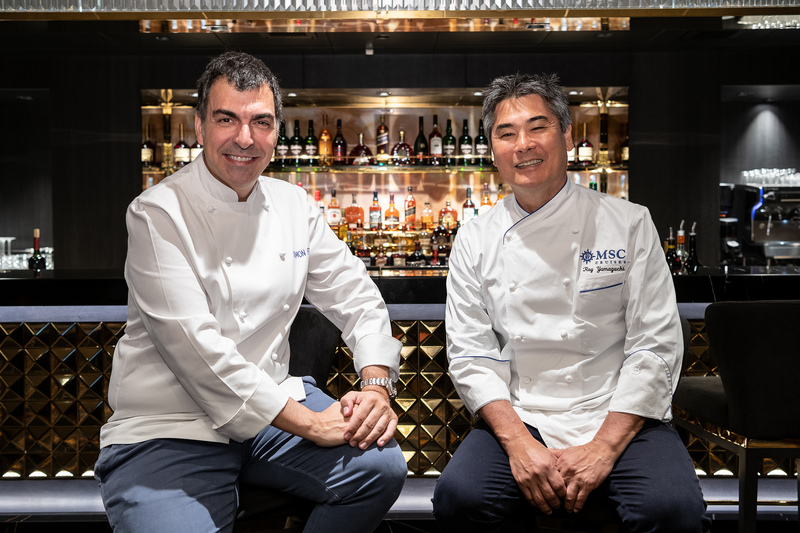 Pan-Asian chef Roy Yamaguchi, attended his second MSC Cruises' ship christening to celebrate his second restaurant at sea, with his first launching on MSC Seaside. Other stars in attendance included Spanish model and actor Jon Kortajarena, Brazilian presenter and actor Giovanna Ewbank and French television personality Ariane Brodier. Described as a game-changing cruise ship, the vision was to create something truly unique that would enable guests to enjoy the beauty of the Mediterranean sea. The ship is designed to enhance the enjoyment of the open water and sunshine, specifically intended to cruise in warmer climates and to create a very special connection between guests and the sea. Most cruise ships are planned and engineered to offer entertainment, dining and other experiences inside the ship while MSC Seaview is designed to bring guests outside to the open decks and walkways. Featuring the highest ratio of outdoor space of any MSC Cruises ship, MSC Seaview brings guests closer to the sea and helps them enjoy the outdoors in every aspect of the experience, including staterooms and suites with elongated balconies offering both sun and covered areas, dining and drinking in true Mediterranean “al fresco” style, and outdoor fitness and luxury spa cabanas in the open air. MSC Seaview is the 15th addition to the MSC Cruises fleet and the third ship to come into service in just 12 months under the Company's industry-unprecedented €10.5 billion ($12.4 billion USD) investment plan. 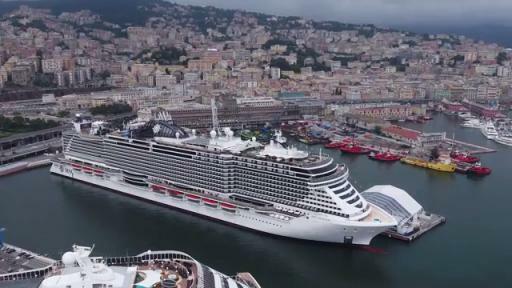 MSC Seaview commenced her maiden voyage from Genoa on June 10, offering six embarkation ports in the Western Mediterranean including the popular ports of Genoa, Marseille and Barcelona as well as other much sought after Mediterranean destinations including Naples, Messina in Sicily and Valetta in Malta. After her inaugural season, she will journey to South America to call on a variety of picturesque destinations including in Brazil. MSC Cruises is the world’s largest privately-owned cruise company and the number one cruise line in Europe and South America. A game-changer in the world of cruises, the Company has achieved 800% growth in its first ten years, building a global reputation in the industry and one of the youngest cruise fleets at sea. MSC Cruises is headquartered in Geneva, Switzerland. The MSC Cruises fleet currently comprises 15 ultra-modern, highly innovative and elegantly designed ships, offering an unparalleled vacation experience with always delicious and authentic food, award-winning entertainment, plenty of relaxation, comfortable accommodation, as well as impeccable service and expertise. Under its ambitious industry-unprecedented €10.5 billion (≈ $12.4 billion USD) investment plan, the fleet is set to expand to 24 mega-cruise ships by 2026. To date, MSC Cruises has designed six new ship classes, all prototypes that push the boundaries of marine architecture and design. MSC Cruises’ vacation experiences are sold across the globe through a distribution network in 67 countries. The Company employs over 17,000 people worldwide, both ashore and on board its ships. MSC Cruises is part of MSC Group which is comprised of leading transport and logistics companies.